Move Seattle was passed by residents envisioning a better transportation future. Safe | Affordable | Vibrant | Innovative | Interconnected remain our five core values, and Mayor Durkan is committed to ensuring that Move Seattle is fully accountable and transparent while delivering efficiently, and effectively your priorities for safety improvements, street and bridge maintenance, and investments in multi-modal transportation. $609 M for transit & transportation investments. Maybe you heard? 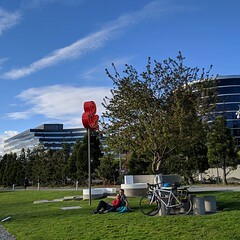 Last week, Mayor Durkan released her 2019-2020 Biennium Budget, which included $609 M for transit and transportation investments. The 2019 proposed budget for these three major investments totals $74.7M. We’ll share more information at the Levy Oversight Committee meeting tonight or you can view the full presentation online. 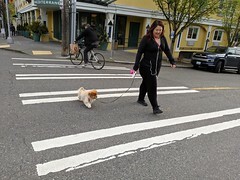 The 2019 proposed budget also supports Mayor Dukan’s transportation priorities by adding $19M additional (non-Move Seattle) funds for new staff resources, pedestrian safety/accessibility investments, and other enhancements to basic services. The 2019 proposed budget comes amidst our work to evaluate delivery for Move Seattle and develop a revised work plan for the remaining life of the Levy. 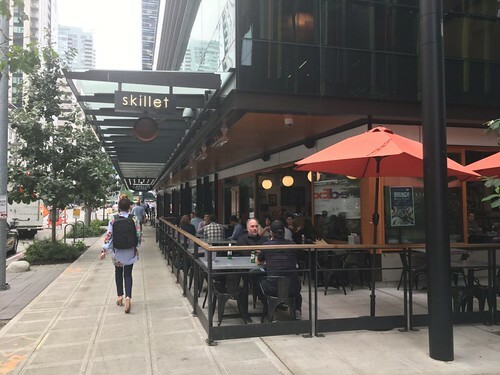 The revised work plan is being developed in response to the key findings identified in the Move Seattle Assessment’s key findings and will be released later this fall. So what’s next in the budget process? Mayor Durkan presented her budget on September 24 and it is now with City Council for review. City Council will finalize the budget in late November. Approved by voters in November 2015, the 9-year, $930 million Levy to Move Seattle provides funding to improve safety for all travelers, maintain our streets and bridges, and invest in reliable, affordable travel options for a growing city. The levy provides roughly 30% of the City’s transportation budget and replaces the 9-year, $365 million Bridging the Gap levy approved by voters in 2006. 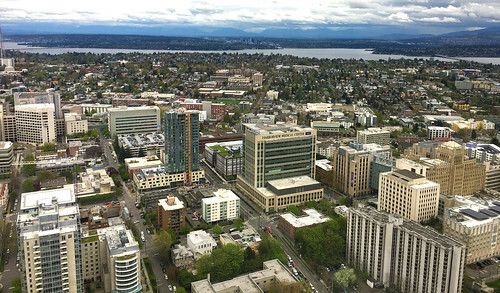 The levy aims to take care of the basics, while also investing in the future with improvements to move more people and goods in and around a growing Seattle. An oversight committee made up of Seattle residents, appointed by the Mayor and City Council, will monitor levy expenses and revenues, review program and project priorities, and make recommendations to the Mayor and City Council on how to spend levy proceeds. Be the first to know about what’s happening with the Levy to Move Seattle. Sign up for our mailing list. Want more information or have an inquiry? Visit our website or contact our Levy Outreach and Accountability Manager, Rachel McCaffrey, 206.615.0925 or email moveseattle@seattle.gov. The SR 99 Viaduct is permanently closing in January – here’s what we’re doing to help you get around downtown. Alaskan Way Viaduct as it looks today. Photo by Jeanne Clark. The Alaskan Way Viaduct is closing permanently in January 2019 & new SR 99 tunnel is opening in February 2019. We all knew it was coming, but that doesn’t necessarily make it easier to experience a closed Alaskan Way Viaduct (AWV) with a not-yet-open SR 99 tunnel, and for three weeks at that. Today, the WA State Department of Transportation (WSDOT) announced an established date for the three week-closure of AWV which is prior to opening the SR 99 tunnel to drivers. WSDOT’s current plan is to begin the three-week closure on Friday, January 11, 2019. Alaskan Way Viaduct and Waterfront – looking north. Photo by Jeanne Clark. This historic event of closing the AWV and opening the SR 99 tunnel will forever change how we get around Seattle. 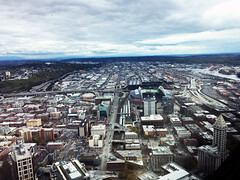 Our teams have long-coordinated with WSDOT on how and where we can best support mobility needs during the three weeks. Here’s what we’re doing to coordinate efforts with WSDOT so you can get around downtown safely and efficiently as possible during this transition. 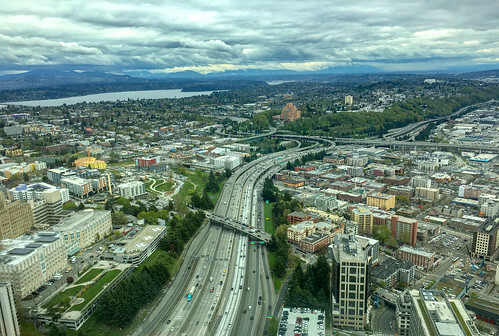 In our Sept 7 blog: Seattle’s transportation new normal is just around the corner, we laid out our five strategies to help you get around as easily as possible during this challenging period. We’re working around the clock to help you prepare and navigate around the construction impacts while keeping you informed of what’s happening so that you can plan your commute accordingly. A Key Step: Deploying a 24/7 Transportation Operation Center. Real-time construction and traffic information sharing with Google Maps, Waze, and TomTom. Follow our TOC on Twitter (@SDOTtraffic) for real-time traffic communication. The more information checking and disseminating, the better during this three-week journey we’re taking. SDOT’s Transportation Operations Center. Pictured: Samual Yemane. Photo by Jeanne Clark. Adding to traffic flow operations. We’re coordinating with the Seattle Police Department to deploy uniformed police officers at key transit intersections – prioritizing transit and helping drivers get through. We’re supporting King County Metro Transit with temporary bus staging assistance; helping with carpool and park-and-rides implementation; and thanks to Seattle voters, the Seattle Transportation Benefit District (STBD) is adding 14 AM and 17 PM bus trips to address crowding on routes across the city. Routes 17, 18, 28, 40, 41, 56, 57, 70, 120, and RapidRides C, D, and E Lines will all receive additional trips funded by STBD. STBD funds the ORCA Opportunity program, which provides Seattle Public School high schools students with 12-month bus passes. In 2019-2020, STBD will fund capital improvements to speed up buses and make them more reliable for riders. It’s all to help address the three-week closure sequencing. During the three weeks, there will be very important work going on to enable the new tunnel to open, on both the north and south (shown below) ends. When all is said and done, after the tunnel opens and other refinements are completed, three roads currently interrupted by SR 99 (John, Thomas and Harrison streets) will be reconnected, improving east-west connections between South Lake Union and Uptown. There will also be a host of other route enhancements, as shown on this WSDOT Seattle’s Completed Waterfront page (and map below). It’ll all be worth it. The end result looks good. The new SR 99 tunnel will be open. The viaduct removal will finish. Waterfront Seattle will complete the new Alaskan Way (opening in 2021). 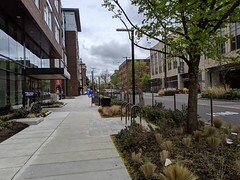 Waterfront Seattle’s work includes a road above the waterfront railroad tracks to connect Elliott and Western avenues with Alaskan Way, avoiding a railroad crossing. At that time, later in 2019, the traffic that today uses the viaduct’s mid-town ramps to enter or leave downtown can instead use the new Alaskan Way surface street. For more information, as we plunge into the biggest transportation closure Seattle has ever seen, visit the source: WSDOT’s #Realign99 Highway Closure website for details. Know before you go. Use the map controls to see real-time traffic, travel times, camera footage, if a bridge is up or down, and if a railroad crossing is open or closed – select by neighborhood if you choose. Follow us for breaking news, real-time traffic, project updates, events, surveys, policy, advisories, blogs, & more. Sign up for ALERT SEATTLE, WSDOT, and Metro Alerts. AlertSeattle is the official emergency notification system used by the City of Seattle to communicate with city residents during emergencies. Sign up now to receive free alerts from the City via text message, email, voice message or social media. 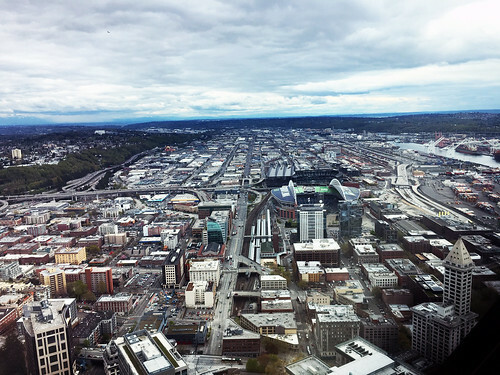 There’s no way around it—getting around Seattle is going to be tricky during the SR 99 closure. Expect traffic delays and be prepared for full buses during peak travel times. Check out the travel options below that can help you get around in anticipation of the new SR 99 tunnel opening. 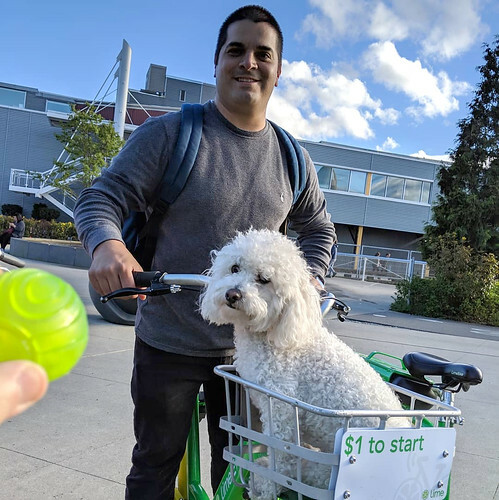 For over 10 years, Commute Seattle has helped Seattle businesses of all sizes unlock their potential and empower employees to utilize convenient, affordable, and sustainable transportation options. 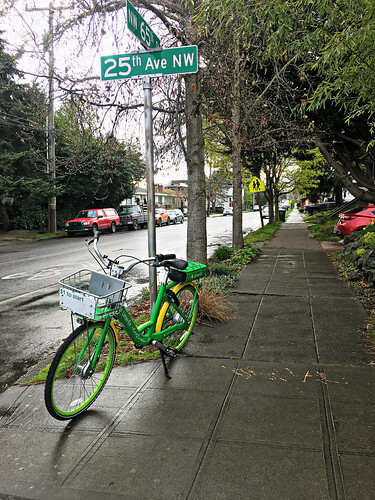 Are you curious about how SDOT tracks progress, measures success and stays true to our mission to make Seattle a safe, interconnected, vibrant, innovative, and affordable city? We do it by Moving the Needle! That’s right. To better communicate how we accomplish these things, we have developed and released Moving the Needle, SDOT’s 2017 Performance Report. This report is a comprehensive detailing of many of our ongoing performance metrics, and provides straightforward and easy to understand graphics that depict the city’s progress and aspirations for the future. A key goal for SDOT is increasing data collection and application. Current data helps us identify challenges within Seattle’s transportation systems, leading to quicker and more efficient fixes. Collecting and analyzing data will also allow us to monitor progress and track improvement, making accountability and transparency easier than ever. 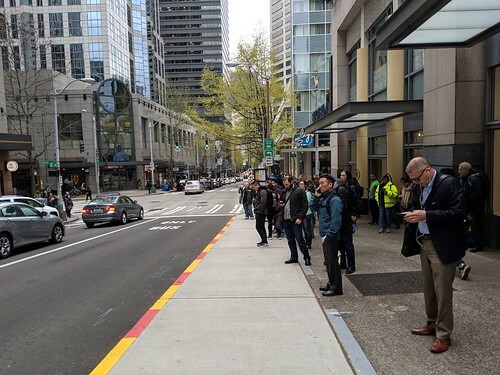 Increased Transit ridership by 32 percent, which includes 7,000 new RapidRide riders on Lines C, D and E.
Filled 95 percent of potholes within three business days. Built 16 new Safe Routes to School Projects, increasing the percent of elementary school kids walking and biking to school by 10 percent. Ninety two percent of SDOT employees completed Race and Social Justice Initiative Training as part of efforts to serve Seattle communities. Increased transit access for people with low income with the issuance of more than 22,000 ORCA Lift Cards. This report is a great vehicle for SDOT to communicate with Seattle residents about our progress and vision for the future. It provides a way to keep our goals in sight and ensure we stay on track. It will hopefully also engage Seattleites in a dialogue about the future of city transportation. SDOT started planning the first ever comprehensive survey of Seattle’s sidewalks in December 2016 – and we are almost done! As of August 24, 2017, we’ve inspected 95% of the city’s sidewalks! 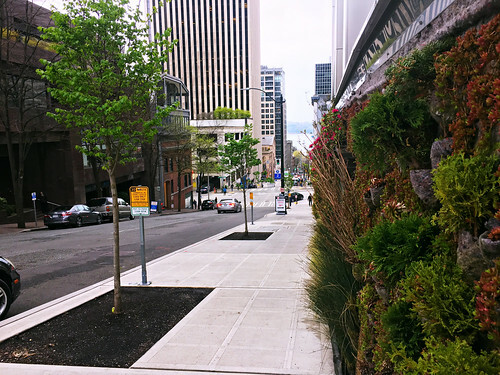 This sidewalk assessment project is just one piece of the puzzle in implementing the City of Seattle Pedestrian Master Plan (PMP). 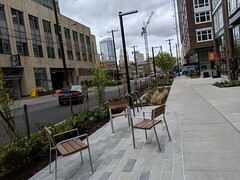 The PMP aims to transform Seattle into the most accessible and walkable city in the nation and improve safety for everyone, as well as make walking routes more accessible to all ages and abilities. At some point during the day, almost every Seattle resident becomes a pedestrian! So far we found: 87,559 uplifts, 36,232 surface conditions, and 19,332 obstructions. Uplifts are the most common irregularities in our sidewalks and can happen when one piece of sidewalk rises above another. Seattle’s sidewalks, with a replacement value of approximately $5.3 billion dollars, are one of Seattle’s most valuable assets. Maintaining and improving these sidewalks is essential for a healthy, growing city. It’s key for us to know what the conditions are so that we can equitably manage and prioritize sidewalk work across the city, and not just where people call in to report an issue. SDOT hired 14 college interns to take on the overwhelming task of walking over 2,300 miles of city sidewalks looking for sidewalk cracks, gaps, obstructions, and other features like benches and rear bus pads. Armed with electronic levels, fluorescent safety vests, mini iPads, and lots of sunscreen, our interns hit the streets in late May. They observe conditions where people walk that might be more challenging for some living with vision-impairment, or for those navigating in wheeled mobility devices, like wheelchairs. We’re developing a model that prioritizes sidewalk repairs based on safety, mobility impacts, cost, and use like transit, hospital, and connections to key locations. We’re hopeful that the information can be used to increase funding, and heighten awareness about the need for sidewalk repairs. In many cases, the city will partner with homeowners, community members, and businesses to improve sidewalk conditions. This might be as simple as clipping back overgrown vegetation, clearing gravel, or grinding an uplift. This new wealth of condition information will greatly improve our already existing Curb Ramp Map & Accessible Route Planner, which can be used to plan convenient routes that follow sidewalk surfaces without major slope and obstruction issues, and provide access to curb ramps. The survey should be complete by the end of September, when students head back to school. 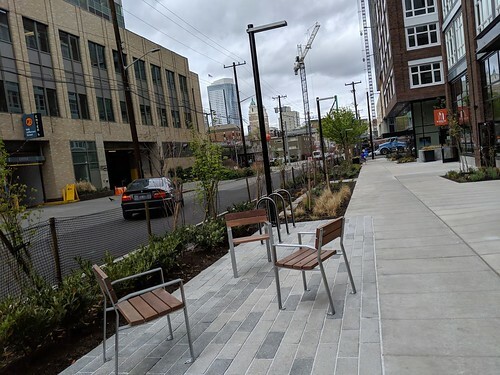 This data collection is ahead of schedule and already greatly benefiting the city’s planning efforts for new Bus Rapid Transit (BRTs), the Georgetown Mobility Study, and key connections. Who’s orange and obsessed with sidewalks? This summer, our interns will be hitting the streets with levels, tape measures, tablets, and bright orange safety vests to conduct a condition survey of Seattle’s sidewalks, for our SDOT Sidewalk Condition Assessment Project. Seattle has over 34,000 blocks – that’s 2,300 miles – of sidewalks. 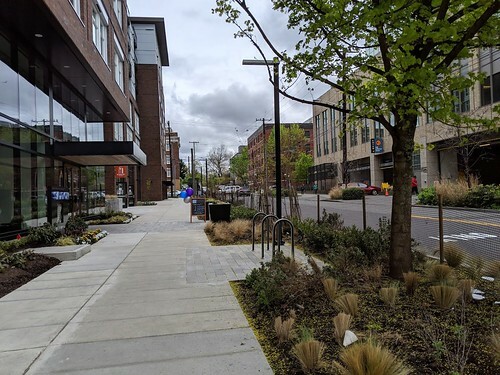 And while we track information like material, dimensions, planting strips, and curb ramps, more data is key to understanding current and future needs. 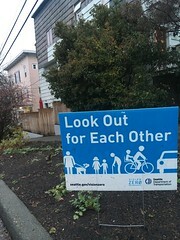 We are also reminding Seattle property owners and residents that they are responsible for adjacent sidewalks and maintaining a clear walking path at least 36” wide and 80” high. As a reminder, it is never okay to park on the sidewalk, or leave your recycling, compost, and garbage containers in the walking path. If you need to complete more significant repairs involving construction or concrete, refer to SDOT’s Client Assistance Memo 2208, which covers property owner responsibilities and how to obtain a sidewalk repair permit. 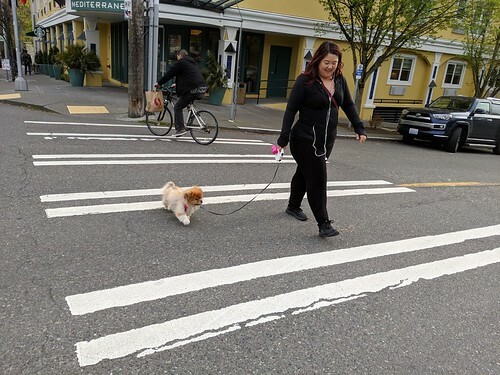 Seattle is committed to pedestrian access, but with 2,300 miles of sidewalks which would cost over $5 billion to replace, we have a steep hill to climb. 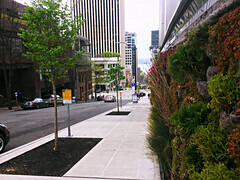 Help us keep Seattle one of America’s most walkable cities, and let us know if you spot an area that needs attention. Call our Repair Hotline at 206-386-1218. Use the Find It Fix It App. Complete a service request form. For more information on Seattle’s Sidewalk Repair Program, see www.seattle.gov/transportation/sidewalkrepair.htm. 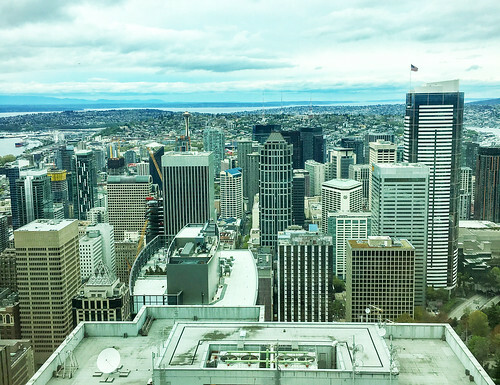 Seattle has long been committed to increasing equity city contracting, and in 2016 SDOT exceeded our goals to support Woman and Minority-Owned Business Enterprises (WMBE). “A healthy and diverse business sector is essential to Seattle’s economic vitality,” Mayor Murray declared in his 2014 Executive Order, and at SDOT we’ve worked to promote opportunities for women and minority business owners, foster a support network for WMBEs in our community, and increase outreach to startup, small, WMBE, and immigrant firms. As a result, not only did we meet our 2016 consulting and purchasing goals, we exceeded them. Through the implementation of City of Seattle Inclusion Plan, SDOT also monitored $7.2 million in payments to WMBE subconsultant firms. 2016 wasn’t just about paying more money to WMBE firms though, it was also about improving our invoice system as part of the Mayor’s prompt payment policy. Of the 1,393 invoices we received in 2016, 97% were processed in 30 days or less. This is particularly important for startup, small, WMBE, and immigrant firms who often don’t have significant savings and need payments quickly to cover their operating costs. In 2017 we’ll continue working towards our goal of 100% processed in 30 days or less. SDOT Office of Equity & Economic Inclusion Manager, Edson I. Zavala speaks with KUNS Univision Seattle as part of Spanish language outreach. Finally, as part of our outreach efforts we launched a number of workshops to help connect Immigrant, Refugee, Emerging, and Micro businesses with SDOT. These include Spanish language sessions to introduce contractors and communities to what SDOT does, as well as targeted sessions on specific projects like the voter-approved Levy to Move Seattle or our Connecting the DoTs effort to bring together local transportation agencies including King County and Sound Transit. For more information, please contact Edson I. Zavala, Manager of the Office of Equity and Economic Inclusion (OEEI) at edson.zavala@seattle.gov or (206) 684-7949. SDOT is committed to making our streets safer for everyone, and we’re taking a big step by retrofitting all SDOT trucks with sideguards. Sideguards reduce the risk of serious injury or death by preventing pedestrians, bicyclists, and motorcycles from being caught underneath a large truck. According a study in the U.K., fatalities from side-impact collisions with trucks were reduced by 61% for cyclists, and 20% for pedestrians, after sideguards were added. Sideguards can also help save on gas by reducing air drag an increasing fuel efficiency. In addition to retrofitting all existing large trucks, SDOT is requiring all new large trucks be equipped with sideguards straight from the manufacturer. To learn more about side guards, and how they help save lives and fuel, check out the U.S. Department of Transportation information page. What’s the dollar value of a slab of sidewalk? What about a bike rack, or a tree? Most people consider the initial sticker price and maybe the labor to install, but what about upkeep, depreciation, and obsolescence over the years? The reality is that many cities and departments struggle to track of their long list of assets, and are subsequently unable predict and budget for long-term costs. SDOT owns a lot of stuff, everything from the big (bridges, streetcars, the new Seawall), to the small (traffic cameras, counters, networking devices), to the surprising (a Cold-War era air-raid siren). 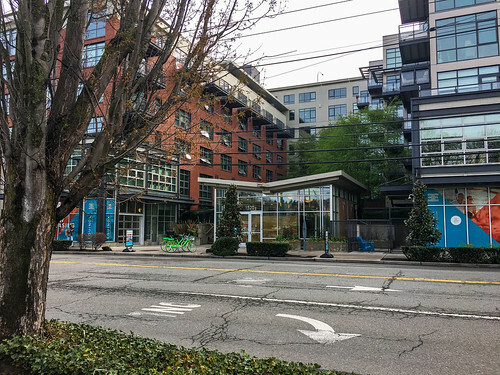 All of these assets, and their future costs, are detailed in our “Asset Status and Condition Report,” which values the current SDOT inventory at $20 billion. That $20 billion figure is just a snapshot though. 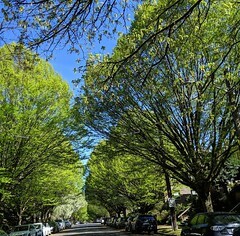 To improve long-term planning and spend scarce tax dollars wisely, in 2015 SDOT implemented an accounting projection technique known as “lifecycle costing.” This technique considers not only how much something costs upfront, but how much it will cost for the next 50 years, and helps us tie real world metrics to larger policy goals like sustainability or equity. Our 50-year forecast shows a surge of costs in the late 2020’s and early 2030’s. This wave of spending need is driven largely by the expected replacement of our bridges, which will be hitting 100 years of operation. With a better understanding these costs, we can show the value of proactive maintenance to extend the life of the bridges, and save tax dollars in the long-term. SDOT is committed to improving performance metrics and asset measurement – and sharing that with the public. In addition to the “Asset Status and Condition Report,” information is available through online dashboards like Performance Seattle (general department goals), the Capital Projects Dashboard (large projects), and the newly released Levy to Move Seattle Dashboard (levy-related deliverables). SDOT held its last 2016 session of the Working With SDOT Outreach Event series, Connecting the Dots, at Seattle City Hall on October 20. Event venue: Bertha Knight Landes Room, Seattle City Hall. Attendees connecting with transportation agency staff. SDOT’s Women- and Minority-owned Business Enterprises (WMBE) Program, within the SDOT Office of Equity and Economic Inclusion, promotes equity in contracting through the inclusion of small and historically underutilized businesses on transportation projects. Mayor Murray affirmed the City of Seattle’s commitment to promote race and gender equity in contracting through Executive Order 2014-03 Equity in City Contracting. This event was part of an ongoing series of targeted outreach initiatives for SDOT to increase the inclusion of WMBE firms. To learn more about the SDOT WMBE Program, contact Edson I. Zavala, Manager of the Office of Equity and Economic Inclusion at edson.zavala@seattle.gov or visit our website at: www.seattle.gov/transportation/oeei.htm.